As Director, Jennifer is responsible for the strategic direction and management of Ford School Graduate Career Services and Alumni Relations. Jennifer works closely with students, providing individual career counseling. Through employer outreach efforts, Jennifer plays a key role in enhancing the visibility of the Ford School and establishing recruiting relationships with employers in the US and abroad. She is a past co-chair of the Career Directors group of the Association of Professional School of International Affairs (APSIA). She is also involved with the Career Services Committee of the National Association of Schools of Public Affairs & Administration (NASPAA) and on the steering committee of the UM Career Services Network. Jennifer holds a M.Ed. in College Student Personnel from the University of Maryland and a Bachelor of Arts in Economics from The King's College. 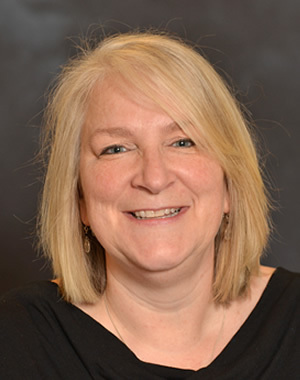 Prior to joining the Ford School in 1997, Jennifer worked in career services at the UM central career office and at The Ohio State University. Before making her own career change into career services work, Jennifer worked in employee benefits consulting with The Wyatt Company (now Towers Watson) in Washington, DC.